Many photographers have difficulty with Tilt-Shift lenses, not understanding how it works and now to use tilt-shilt lenses. 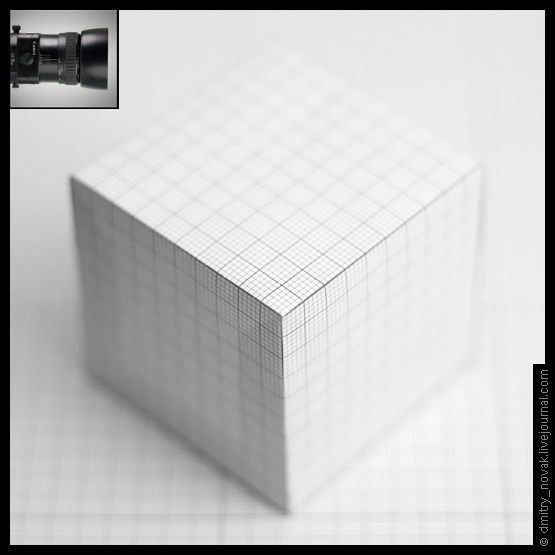 So I created a scene from the graph paper and took photos it with different tilts, to illustrate the work of Tilt-Shift lens. I hope it help you to understand how tilt-shilft lenses work. The front lens element must tilted to the photographed area�s slope. If necessary, lens is not only tilted but also rotate around its axis. At this picture lens turned into 90 degree to the right side and then tilt to the left following tilt lateral surface of the cube. Modern cameras have a live view mode. No needed to calculate slopes. 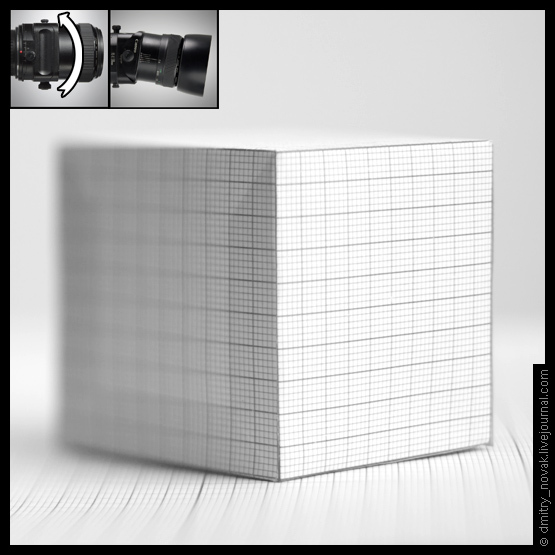 2x zoom will show you DOF so you need just to make some correctives remember about rule above. Tilt-shift optics should cover large area but with big slopes you will have shallow depth-of-field on edge of image. Don�t tilt the lens more then needed and put the object into the center of the picture.